Today’s K-12 students are faced with complex issues—peer pressure, cyber bullying, relationship and self-esteem issues, anger management and more. Dealing with these challenges makes school counselors some of the most important members of a school’s faculty. They are caring, compassionate, and genuinely concerned with the career, academic, and social-emotional well-being of the children in their schools. As a school counselor, they know their work makes a difference. The Master of Arts in School Counseling program equips graduate students to be multiculturally competent and socially aware k-12 licensed professional school counselors who lead comprehensive, developmental, and collaborative school counseling programs. The program prepares students to be leaders, advocates for social justice and system change specialists capable of assessing, developing, implementing, and sustaining data-based programs that provide equitable services for all. Graduates will be competent in individual and group counseling and effective at consultation and collaboration with teachers, parents, community agencies as well as other community resources and important stakeholders. Why choose our Master of Arts concentration in School Counseling? Our School Counseling Concentration is designed with a multicultural and social justice focus and is based on the American School Counselor Association National Model. Our students will have immediate exposure to diversity through coursework and training on how best to serve a diverse student population. Our faculty are leaders in their profession, highly involved with their professional organizations, and continuously engaged in research so they can bring current trends, issues and practices into the classroom. Students can choose from a wide variety of electives to expand their counseling experiences. Electives include, but are not limited to, such topics as Consultation in School Counseling, Play Therapy, Grief and Loss, Diagnosis & Treatment in Counseling, Crisis Counseling, and Counseling Adolescents. The School Counseling Concentration is accredited by The Council for Accreditation of Counseling and Related Educational Programs (CACREP). CACREP accreditation provides recognition that the content and quality of the program has been evaluated and meets the standards set by the profession. In addition, our program aligns with the American School Counselor Association (ASCA) standards in school counselor preparation, and meets the North Carolina’s state requirements leading to k-12 school counseling licensure. A full array of daytime and evening classes offers students scheduling flexibility. The program is also offered on a full and part-time basis. The international honor society for professional excellence in counseling, Chi Sigma Iota, recognizes our Masters of Arts in Counseling as an outstanding counselor education program. Three clinical experiences are required: Practicum (150 hours), Internship I (300 hours), and Internship II (300 hours). Placements can be in public or private schools at elementary, middle, or high school levels and are supervised by our faculty and an onsite school counselor. 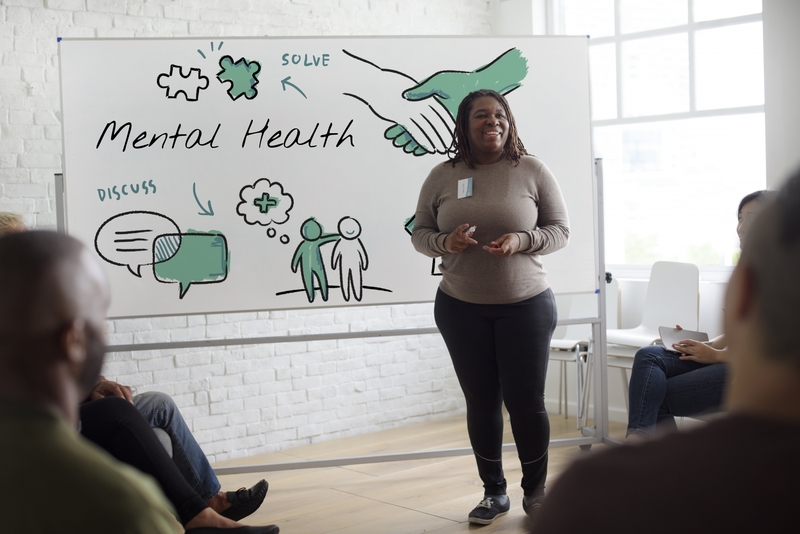 Students are encouraged to complete at least two of their clinical experiences at different school levels to obtain a range of school counseling experiences. At the completion of their training, candidates will be eligible to obtain credentialing as a National Certified Counselor (NCC) and apply for K-12 licensure as a professional school counselor in North Carolina. Graduates from our program are especially strong in analyzing data to determine and address student needs. This focus is built into students’ second required school counseling course, Advocacy and Leadership in Professional School Counseling, in which they analyze existing data at their clinical placement sites, then design and implement projects to address school needs based on the data analysis and in support of systemic change. The majority of our graduates obtain school counseling positions in public or private elementary, middle and secondary schools. As a result of the quality and reputation of our program, a number of students have received job offers while completing their final internship. The Bureau of Labor Statistics reports that school counselor employment will increase by 8% from 2014 to 2024, which is roughly the same as the average for all occupations. With rising enrollment in schools from elementary levels through college, the prospects for employment in school counseling should continue to improve. Faculty members in UNC Charlotte’s Department of Counseling have worked to establish mutually beneficial partnerships with multiple schools and school districts in Charlotte and surrounding counties. These close ties to the school counseling community provide experiential activities that supplement theoretical training. Every year, practicing school counselors come to campus to lead discussion panels with our students. Student clinical placements have included Charlotte-Mecklenburg Schools, Cabarrus County Schools, Gaston County Schools, Kannapolis City Schools, Rowan-Salisbury Schools, Union County Public Schools, and Mooresville City Schools. Students are encouraged to join faculty research teams, to apply for grants, and submit articles for publication. These collaborations often lead to opportunities to present at state and national conferences and to become published in the field. Students are strongly encouraged to join professional organizations. Participating in these organizations is a great way to continue in professional development, make connections with other professional school counselors, and be a social advocate. Recently, one of our master’s students joined a research team, applied for a grant and received $500 to conduct a research study. The data from this study allowed the team to submit an article for publication to one of the top journals in the counseling field. Our graduates are employed in schools all over the county, region and state. Click here to learn about the success of three of our graduates, Sarah Crist, Alison Graves and Ashley Elizabeth Lawson. Click here to see what other alumni are saying about their experience in the School Counseling program. Our faculty are leaders in the counseling profession. Dr. Sejal Parikh Foxx was named 2015 North Carolina Counselor Educator of the Year. She currently serves on the Board of Directors of CACREP and has co-authored a textbook for professional school counselors. Dr. Clare Merlin-Knoblich is co-chair of the School Counseling Interest Network for the Southern Association for Counselor Education and Supervision. Dr. Taryne Mingo has a professional background in elementary school counseling, racial identity development, and advocating for social justice and promoting an intersectional approach to address the academic, social and emotional needs of diverse children. Are you ready to make a difference in the lives students? If so, click here to learn more about the requirements for the Master of Arts in School Counseling program, graduate student financial aid and the graduate application process. If you are interested in being selected as a Project INTACT Scholar, applications to the UNC Charlotte Master’s in School Counseling program are due December 1, 2017. The School Counseling Program in the Department of Counseling at The University of North Carolina at Charlotte is designed with a multicultural focus and based on the American School Counselor Association National Model. The School Counseling Program is accredited by The Council for Accreditation of Counseling and Related Educational Programs (CACREP). In addition, our school counseling program meets the American School Counselor Association (ASCA) standards in school counselor preparation, as well as North Carolina’s state requirements leading to K-12 school counseling licensure. The School Counseling Program prepares school counselors to be student advocates and supportive of the school’s academic mission in public or private elementary, middle, and secondary schools. The faculty expects our graduates to serve as leaders in the school counseling profession, be multiculturally competent, advocate for all students, work for school wide systemic change, and be committed to continual professional growth. As a result of the faculty’s high expectations and quality of instruction, student’s will be able to organize and coordinate school counseling programs appropriate to the needs of all students and in support of the school’s academic mission. Students trained as school counselors will be competent in individual and group counseling, will be effective at consultation and collaboration with teachers, parents, community agencies as well as other community resources and important stakeholders. At the completion of their training, students will be eligible to obtain credentialing as National Certified Counselors and apply for CAS-level licensure as a school counselor in the state of North Carolina.